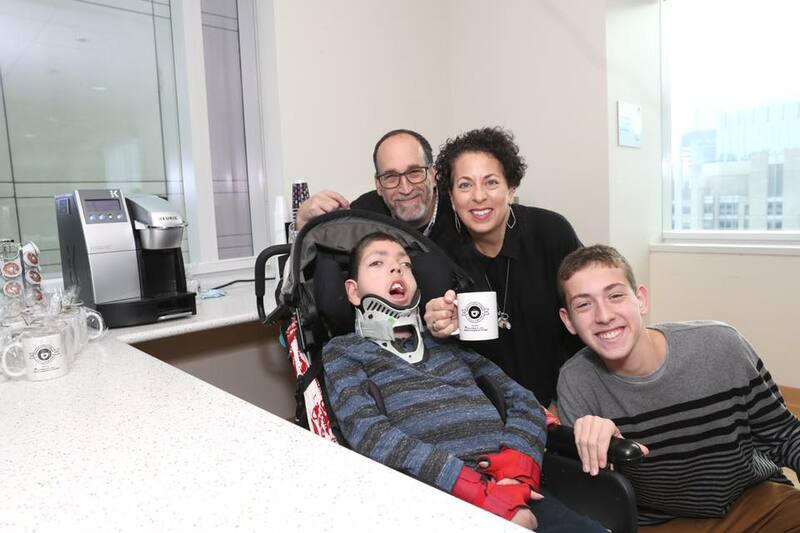 We are raising funds through Lurie Children’s Circle of Friends to support Aaron's Coffee Corner, a program that will provide 24/7 access to free, fresh, quality coffee in the Family Great Room of the Pediatric Intensive Care Unit on the 16th floor. 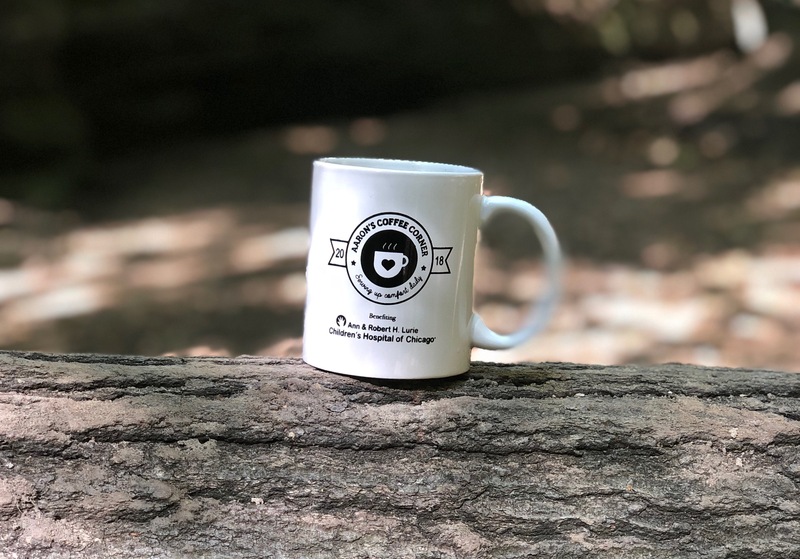 Please join our effort to bring the smallest of comforts to all those that care for sick kids at Ann & Robert H. Lurie Children’s Hospital of Chicago, whether they are parents, guardians, caregivers, family, or friends. With your help we can provide a sense of comfort and familiarity in a far too unfamiliar place. 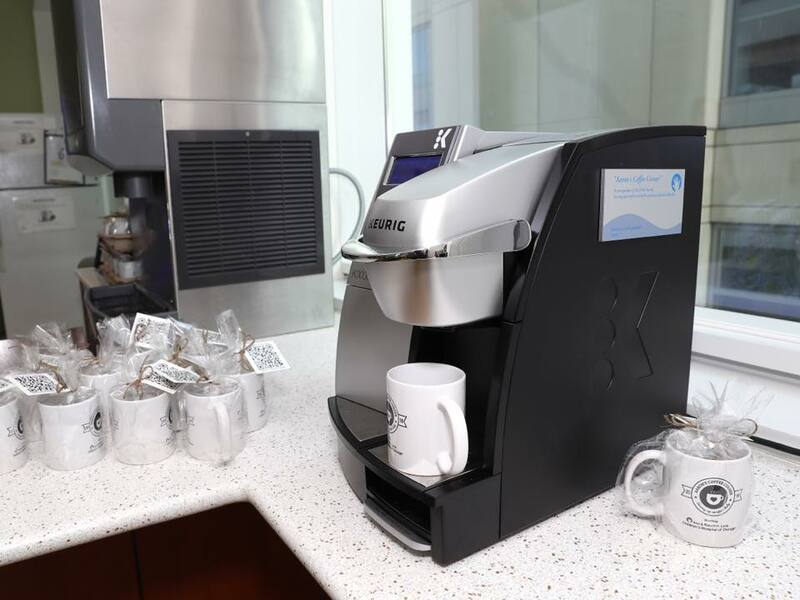 Read more about our partnership with Lurie Children's Hospital here. Aaron was diagnosed with Dihydropyrimidine Dehydrogenase Deficiency at around 5 months old. For ease, lets refer to it as DPD. To our knowledge Aaron is currently the oldest example of severe infancy born DPD living at the moment. There are less than 25 cases of it reported world wide…ever. 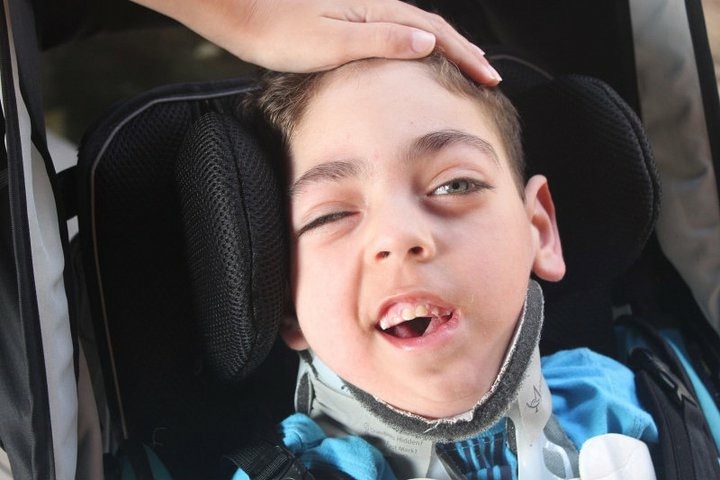 As a result of Aaron’s DPD diagnosis, he suffers from seizures aka Epilepsy. He is on a remarkable regimen of anti-seizure meds that have not completely managed his epilepsy, but has certainly made his life much more manageable. He experiences a variety of neurological events daily. Aaron is fed through a G-tube which pumps his food directly into his stomach with the help of a pump. We also deliver his meds through the G-tube. No yucky medicine tastes for our boy! He has a combination of his 12 meds delivered three times a day in different doses and quantities daily. Aaron is non-ambulatory. That means he is confined to a wheel chair. He is braced from his neck to his feet because of the tone of his body and has a metal rod in his back to manage his scoliosis and his pulmonary capacity. Aaron is non-verbal. That means he cannot communicate. He cannot do this for a variety of reasons. He has a damaged, small brain which people refer to as globally delayed. Aaron is almost blind. He cannot see as a result of cortical vision impairment probably caused by the lack of brain development and the seizure activity he has experienced through out his life. Aaron’s hearing is GREAT! He’s got that going for him and if you talk or sing to him or play music for him his smile will light up a room. Aaron requires 24 hour care. When he is not home with his mom, dad, and big brother he is with his fabulous nurse at school. Aaron’s prognosis was that we would be lucky if he made it to age 3. That is when we started celebrating his birthday with family and friends annually. We realize every day is a gift. As Aaron gets older his body gets weaker. When Aaron gets sick things go upside down very quickly. Every hospitalization is critical because it is harder and harder for him to come back from any kind distress. His autoimmune system is impaired, his respiratory system is impaired, his musculoskeletal system is impaired, his global development is impaired. He’s a medically complicated and fragile little guy. But boy, oh boy, is he handsome! Aaron's Coffee Corner was chosen as the charity of the year at the school he attends, Charles J. Caruso Middle School. Watch the video about the campaign, as well as the final dollar amount reveal, below.